How Long Does Peyote Stay in Your System, Blood, Urine? How Long Does Peyote Stay in Your System? 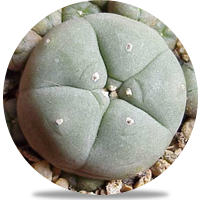 Peyote is a small cactus containing various psychoactive alkaloids majorly Mescaline. Those who have hallucination problem may consume in a variety of ways to alleviate symptoms. The dried tops from the plant are removed and either eaten directly or in powder form, which is created and then stored in capsules. The powered form is known as Mescaline Sulfate, and it’s the strongest kind of Peyote. Street names of Peyote include bad seed, half moon, nubs, P, tops, Peyote buttons and Britton. Peyote is not an addictive drug like marijuana or cocaine as it does not produce compulsive drug-seeking behavior. However, just like the addictive drugs, it can lead to a greater tolerance in people who use it frequently. Users who build a tolerance to the drug consume the drug in a higher amount for achieving results experienced in the past. This practice can be dangerous as some of the effects of the drug are still unknown. There is no definite time for Peyote to remain in the system. There are estimated ranges of time to detect how long it may stay in the body. Urine: Peyote can stay in the urine for 2 to 3 days. Blood: Peyote can be detected in the blood for 24 hours. Saliva: Traces of peyote can be found in saliva for 1 to 10 days. Hair: The drug can be detected in the hair follicles too, and the detection window can be up to 90 days. The method of the drug’s administration affects how long it will stay in your system. If it’s taken in powdered form, it is going to stay in your system for a longer time. On the other hand, if you ingested it in the form of tea made from the dried tops, then it will go out of your system through urine quick. Human bodies respond to drugs differently. Even if we are dealing with twins, and they took the same dosage of Peyote, the window of the drug’s detection will differ. That’s because they have different body mass, hydration level, physical activity, metabolism and health conditions. If the all these factors are positive, then Peyote will move out of the system fast. The ingestion of other drugs as well as alcohol can influence the drug’s plasma concertation. This concentration will increase if the amount of alcohol consumed is high. What happens is that the half-life of the drug increases due to the increase in concertation and hence it stays in the body for a longer time. The frequency and dosage of the drug widely influence the time Peyote will stay in the body. If the dosage is higher, it’s obvious the body will have to do a lot of work to excrete Peyote. Similarly, if you are a frequent user, the drug may have made its way into the fat cells. Even if you stop taking Peyote, it will take more time than usual to move out of your system completely just because it is now present in the body’s cells. How Long Can Physical Effects of Peyote Last? The effects of Peyote start 45 minutes of ingestion. Just like mushroom and LSD, the effects of the Peyote buttons come in waves. The peak happens 2 to 4 after consumption and hour trips last for 8 to 10 hours. The main ingredient i.e. Mescaline first is absorbed via the stomach lining before entering the bloodstream and the brain. The duration of effects of the mescaline can be affected by the presence of food in the stomach as well as the body’s metabolism. The amount of mescaline required for producing hallucination is between 0.3 and 0.5 grams. The physical effects of the Peyote buttons may last for 12 hours, but they remain in the human body for a longer time than this. If a person consumes Peyote for a long time, they may develop psychosis. You may also experience mood swings and paranoia as a result. It might even contribute to the development of HPPD (Hallucinogen Persisting Perception Disorder). Good trips provide mental stimulation and enjoyable sensations whereas, bad trips make you go through anxiety, loss of control, fear and sometimes death. The physical effects of Peyote include increased heart rate, excessive sweating, increased body temperature, uncoordinated movements and flushing. Usually, professionals do not perform Peyote drug tests separately. It sits in the category of additional tests for drug administration. In case you have a Peyote drug test coming up, and you wish to expedite the excretion of the drug, the following can help. Firstly, the best thing would be to stop the consumption of the drug altogether. Other than this, taking a detox pill might help. It will cleanse your body, and all the remains of the drug will move out of your system. Increase the consumption of water so that you urinate more and the drug contents leave your system fast. So, the short answer to “How long does Peyote stay in your system?” is between 2-10 days depending on the drug test administered. It can, however, be detected in hair follicle test for up to three months – though this test is expensive and extremely uncommon, and is only done for research purposes. Peyote is not usually looked for in drug tests though it may be tested for specifically. It will not show up in a routine drug test. It is good to stay informed and know how the drug and its contents work. Keep the dosage low because over dosage can be lethal. If you feel that you or anyone you know has overdosed, consult a medical expert immediately. Addiction Resource » Addictive Substances: The Anatomy of Drug Addiction » Peyote Addiction And Abuse — A Mind Altering Spineless Cactus » How Long Does Peyote Stay in Your System?